Spicy chilly dip with boiled tapioca is a nostalgic post for me,although I had this only during my vacation times in Kerala.But my parents have a lot of memories associated with this recipe.The bird eye chillies (kanthari mulakku) is a common pepper variety which I have noticed in Kerala.But when I saw a similar kind in the stores here,I immediately caught hold of some but later only did I realise that its thai red chillies.Both chillies look almost the same in looks & flavor too.And so,I recreated the same good old memory of spicy chilly dip with thai red chillies.All guys from Kerala would love to have this with boiled tapioca/boiled taro roots or even boiled sweet potatoes.The recipe for boiled tapioca is posted here.So,guys enjoy the simple dip !! 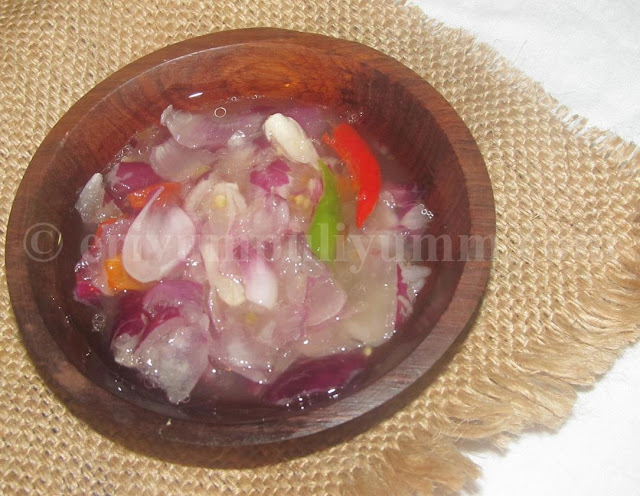 -Wash,peel the skin of shallots.Wash the chillies,discard stalk. -Crush the shallots & green chillies in a mortar and pestle. -Dissolve salt in 2tbsp of warm water and add the crushed shallots & chillies.Drizzle the coconut oil on top just before serving. 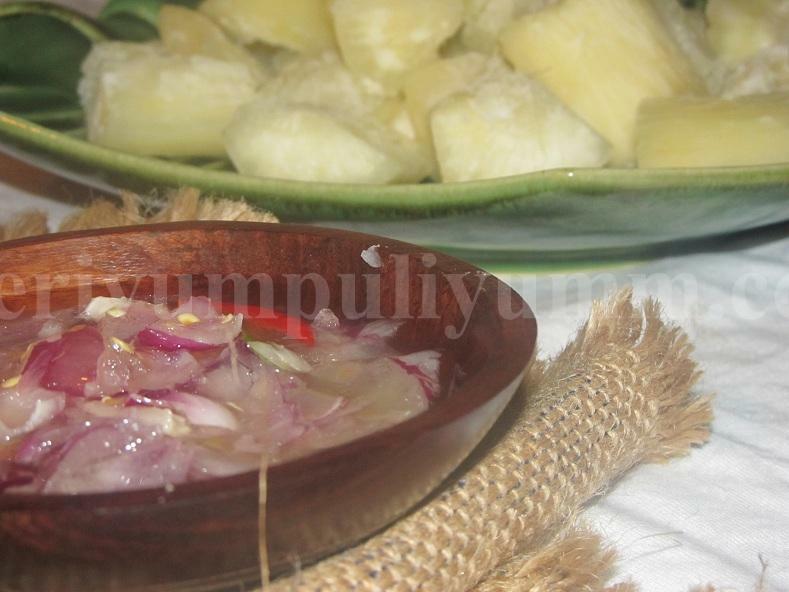 -Serve with boiled tapioca(yuca) / kappa puzhugiyathu. * You can increase the ratio of all ingredients for a larger amount of dip. * This is a moderately spicy dip. very new recipe to me!! 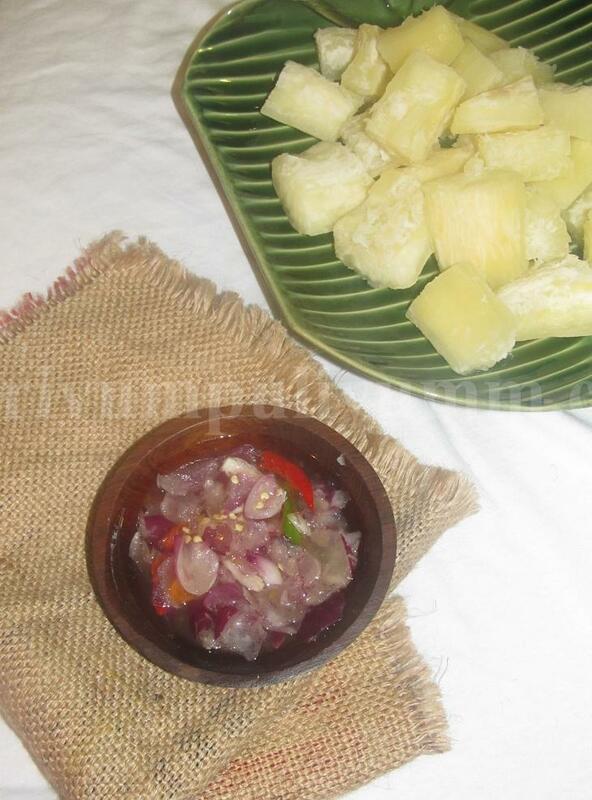 I love boiled and fried yuca. try it with garlic chutney too. your dip is so good. 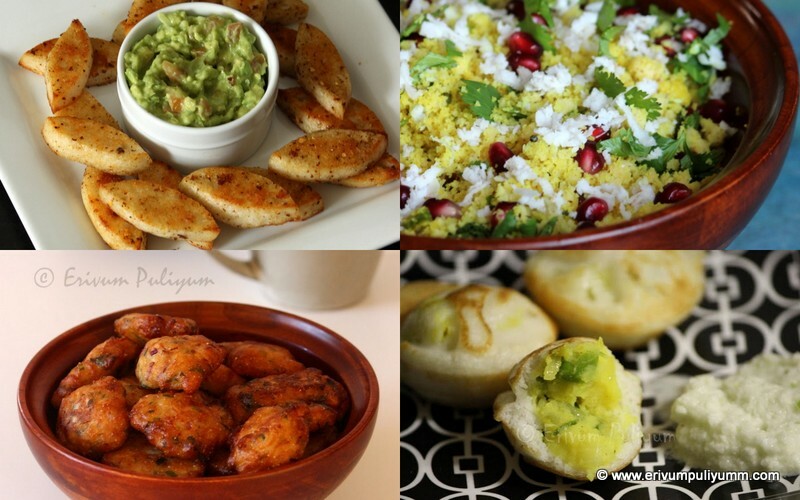 Love the dip and all the flavorful ingredients you have used. Can guess how spicy this dip will be, inviting foods. Very tempting to make in this chill weather.. loving it! Nostlagic !! vaayil vellam niranju..Truly a winner. This is unfair. 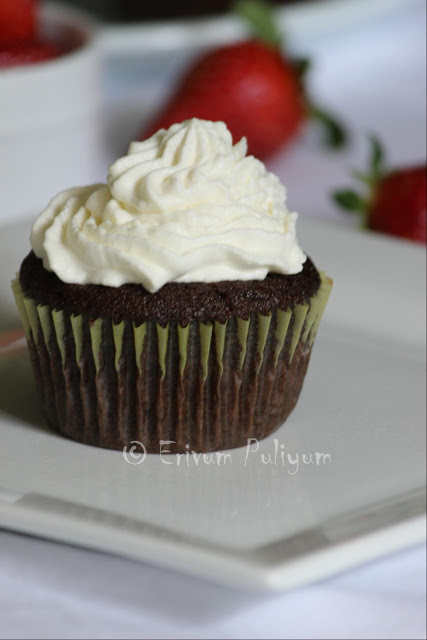 U are tempting poor MALAYALEES like us with these clicks..Looks yumm Julie. this is new to me...Sounds delicious and healthy. Perfecto combi. Just luvg it. New recipe, would love to try sometime. 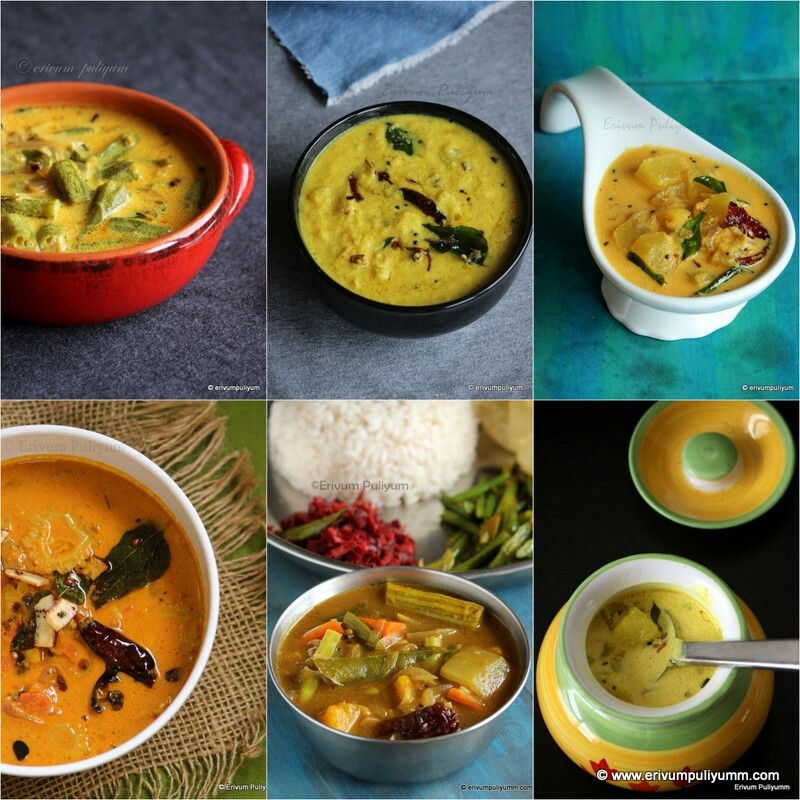 A classic that never fails to impress any Malayali :) Looks yummm! sounds new to me.. will give a try..
Ayyooo kandittu kothiyavunney...Kappu and mulakudachathu..:) Such a nostalgic combo.. This is very new to me...Sounds interesting n delicious!!! Julie... You have this thing of making me hungry. I love this. One question. have you ever tried preparing it with frozen eschallots? Will it taste good? Thanks a lot for sharing this lovely dip recipe Julie. would love to taste it. @ Love to experiment:I personally don't like the texture of frozen shallots and so don't use it.This is made with the fresh ones available in stores!